Sometimes a circus appears in town. The music is joyous, there's laughter in the air, the sweet smell of butter and candied fruit. But the colour of the tents are muted, the animals in their cages are listless, and, despite the capering and smiles, there's something disingenuous about the entertainers. 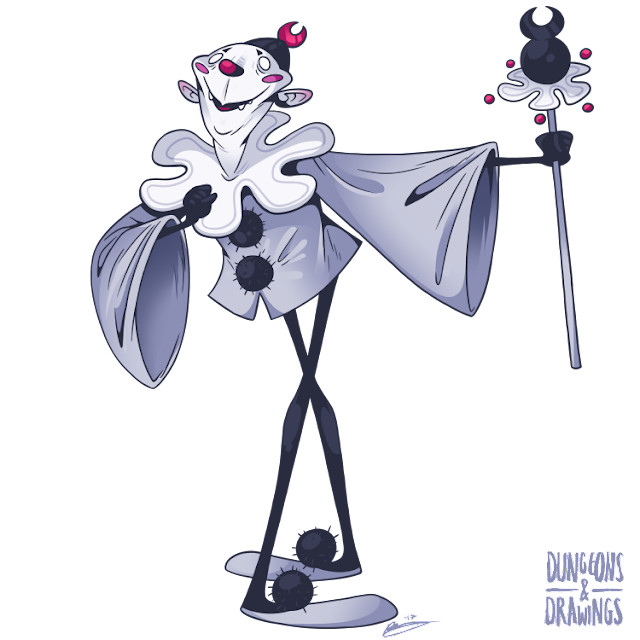 The ringleader, an especially tall lead clown, is the happiest of the lot, and his laughter and smiles ring true. Something doesn't feel right, but the show is good and the crowd has never found itself laughing so much. People return to their homes giggling and exhausted. As silently as is appeared, the next day the circus is gone. People lie in bed, tired, faces aching from last night's smiles, and feeling strangely downhearted. It feels like after last night, they'll never feel that kind of happiness again, that every other joke they see will never be as funny. After some weeks, some people recover their spirits, but most don't. One night there's a laughing shadow in the streets. The next day, those listless few are gone. They're never seen again. The Gray Jester is one of those fey creatures that prefers people to the forest. It's attracted to the feelings of joy humans are capable of, craving smiles and the sound of laughter, and strives to create those feelings in others. Of course, laughter is what the Jester feeds on. If it's antics don't work, it's fine. Tasha's Hideous Laughter can do the work for it. Its touch and its scepter can transfer the spell, and allow the Jester to feel on joy (leading to Charisma drain). A spooooky creature for a spooooky month. I've always been kinda annoyed by the scary clown trope. Not the cliché-ness of it, but how some scary clowns go really over the top with the scariness with sharp teeth and tattered clothes and bloodstains and such. 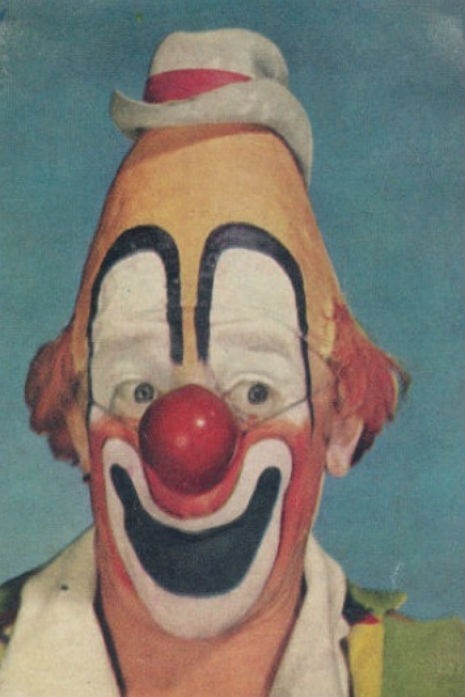 I don't find clowns scary, though I do admit they can be repulsive in that weird visceral way (especially Lou Jacobs; that head ain't right). Having now attempted to draw a scary clown without trying to use those typical evil clown type markers, and I can say how difficult it is to do it. Thinking about Pennywise from the original It miniseries, part of what made him so scary was the jolly brightness of his outfit combined with Tim Curry's performance. With the new It, I really rolled by eyes and how spooky they'd purposely made him look. The parts were Bill Skarsgård got to goof it up like a real clown were gold, though. More of that and less screaming and running at the camera. Great acting on his part. Anyway, turns out the performance aspect is really key, which you can't really communicate with a static image. This illustration was really tough and went though lots and lots different versions. My sketchbook has pages of jolly clowns now, and I've got two more files on my computer where I got really far ahead in the drawing before scrapping it. Another difficulty was trying to keep 2017's It design out of my head. The first version really ended up looking a lot like Fleischer's Koko the Clown cartoon. Long post short, went for a pierrot look because I really like that design outfit. PS. Do Gray Jesters update their look with passing time? Do they go from jester with a magic sceptre to a circus clown with an evil rubber chicken? Standup comedians with a mic? The first version really ended up looking a lot like Fleischer's Koko the Clown cartoon.